This was our last stop on our road trip. We saw signs for this National Monument in Nebraska on our way up to South Dakota. We had stopped by, but it was already closed and a storm was rolling in. Conintuing on we made a mental note to stop by on our way back home. From South Dakota's Black Hills and Custer Park we traveled back roads and drove as fast as we could to make it back to Scott's Bluff before they closed at 6pm. We even got pulled over by a cop for speeding. Thankfully the cop totally agreed with us that the speed limit was a bit too slow and let us continue on our mary way. 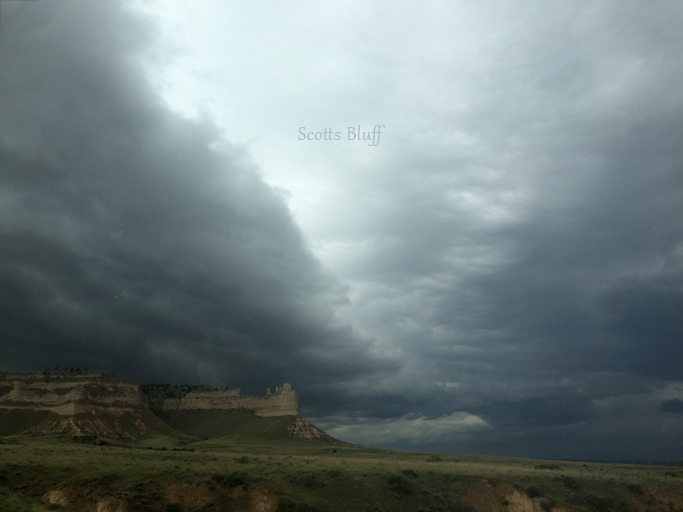 We got to Scotts Bluff minutes before they closed. They allowed us to come in and buy our patches. 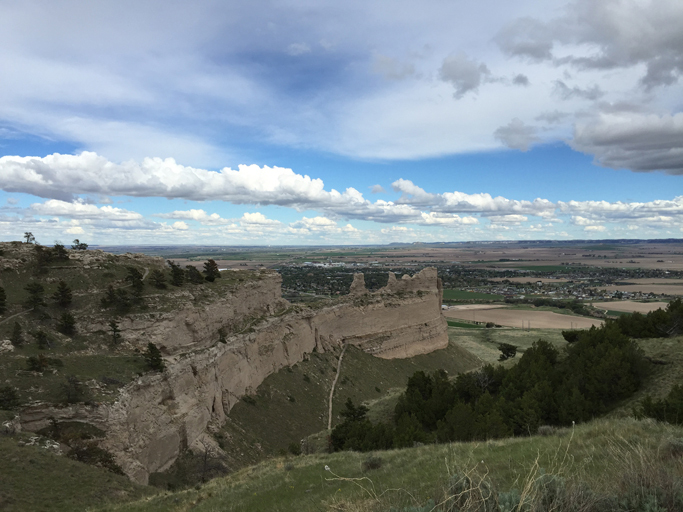 There is a road that takes you to the top of Scotts Bluff and one of the ranges has to go up ther and make sure everyone id down before they officially close the park. They offered Andy and I a ride to the top. The view was beautiful and to our luck there was a car there and we couldn't find the people. So Andy and I got to help the park ranger by hiking all the trails to find the owners of the car to tell them that they have to leave. Two, young, overweight girls had not estimated correctly how long the hike would take them, but we found them and followed them down Scotts Bluff. After that it was smooth sailing back to Colorado! South Dakota Road trip DONE!